Angry Birds is a puzzle solving game create by RovioEntertainment Ltd. and has more than 200mn active monthly players. 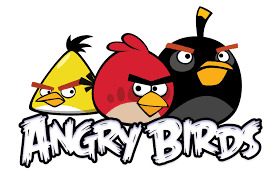 Freemium – Angry Birds is one of the best examples of a game monetizing through this model. Players can start playing the game for free and the ones who get committed to it (around 5%) end up buying premium features in the app. Rovio does a great job of keeping users interested and engaged through new versions, upgrades and features for users. Merchandise Sales – Angry Birds has been able to monetize it’s characters through sales of branded merchandise. Some products include Angry Birds iphone covers, t-shirts, lunch-boxes and so on. The sales strategy is a mix of direct sales and other models like franchising and licensing. Advertising – The game also makes a lot of money in it’s free version through advertising. By not selling the game, as is the case with a lot of games, Rovio is able to reduce the risk of piracy as well as users can start playing for free.